This is not the height of foraging season. We have loads of snow and the ground is frozen and completely inaccessible. Yet there is a surprising amount of wild edibles that can still be found and used at this time of year – mostly from trees. 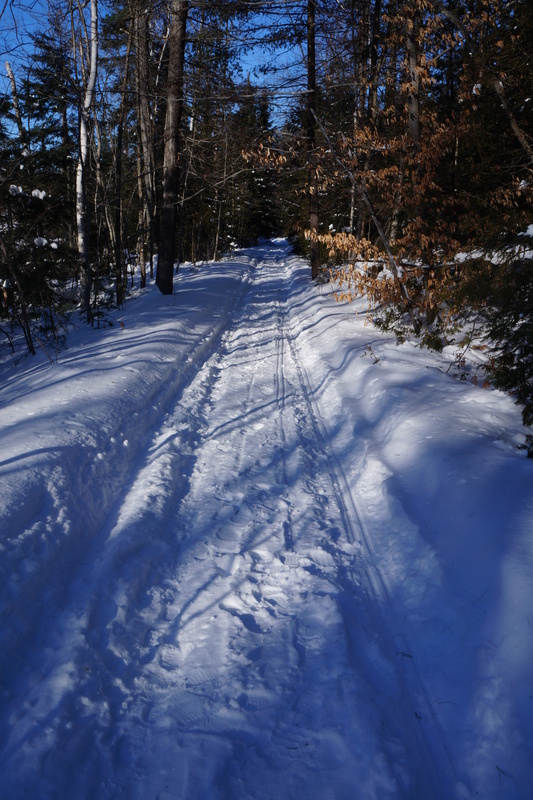 The other day I had the pleasure of being invited to hike through a private woods with well-marked snowmobile tracks. 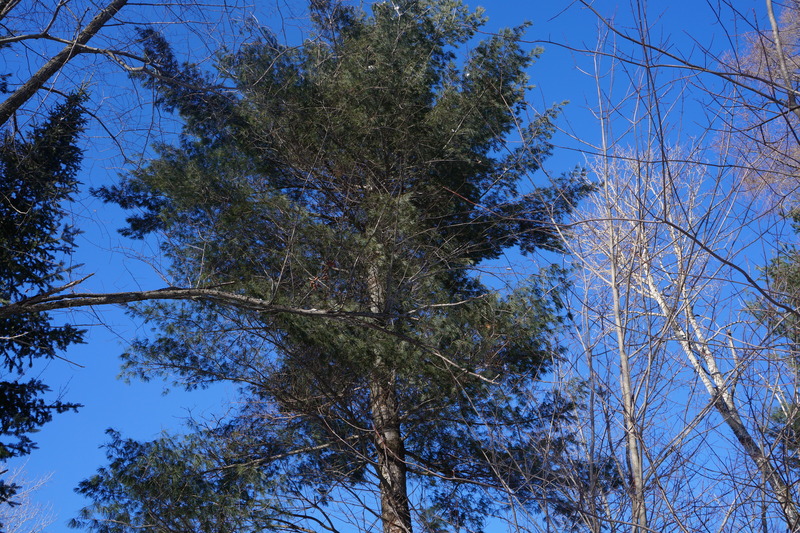 Among all the evergreens, apple, oak and birches there were a good number of white pine trees. I chose this particular tree because first of all it offers needles which are not only edible but have a very pleasant flavour in small quantities. The other reason I prefer to use them in this space is they are so easy to identify. Their long soft needles are arranged in bunches of five – the only tree with this particular characteristic. I pick only the needles at the end of branches where they are less likely to be covered with any of the sap. Of course I choose trees which are easy to reach, but mature enough that the needles are good and long as in the picture above. Make sure that the area where you pick has not been treated with chemicals. Once picked, remove the brown tip at the base. To dry the needles thoroughly, place them in a dehydrator or oven at about 50 degrees C or 130 degrees F for about ten hours, until they snap when bent. 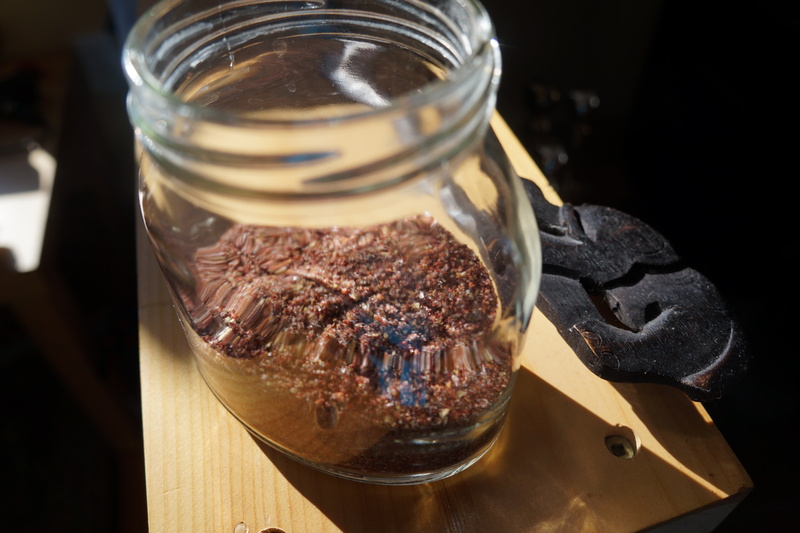 Then they need to be ground to a fine powder in a coffee or spice grinder. Like this, they can be stored in a cool dark place for several months and used in baking, marinades, sauces etc. I decided to blend them in a pasta recipe. I used spelt flour, but you can substitute plain white flour in the same quantities. Mix the flour, salt and pine powder. Make a well and add the eggs and oil, mixing this together with the flour and blending in the flour bit by bit. Or do as I did and just mix it all in the food processor. Once the dough has all come together, remove it and knead on a floured surface for about five minutes until it is smooth and elastic-feeling. Wrap it in a damp towel or plastic and refrigerate for about 20 minutes. Divide into four pieces or more, roll out very thin and cut in strips. Put the noodles into boiling salted water for about four minutes or until the pasta feels al dente. I found the taste of these noodles very pleasant and not at all overpowered by the pine, which did impart an interesting and delicate flavour. Any of your favourite pasta sauce recipes would work well with this, but I went for a non-saucy mixture of vegetables and chicken. I first fried some onion and portobello mushroom, a few pieces of roasted chicken and then added greens (dandelion and Chinese broccoli) just long enough to wilt them. Tossing the whole mixture into the pasta, I then seasoned it generously with my sumac pepper. 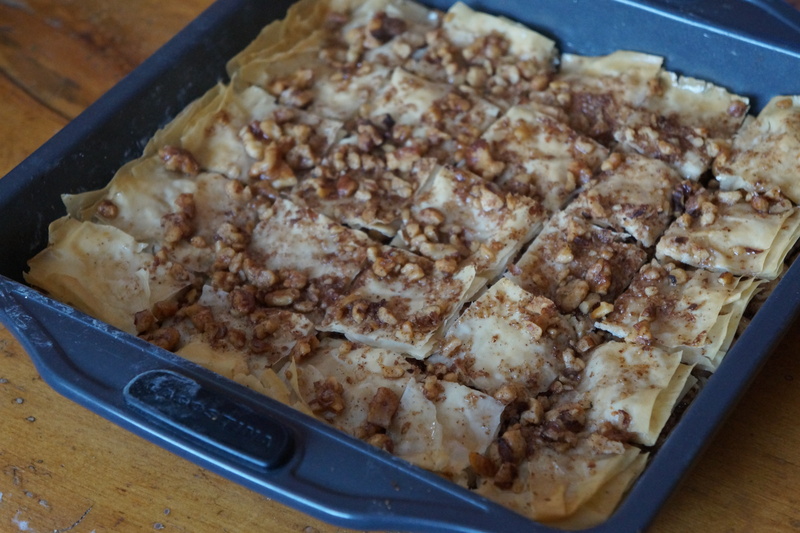 Served with a glass of sumac mead and followed with a dessert of maple walnut baklava, it was the most foraged dinner I have ever served – and all this in the dead of winter. Categories: evergreens, recipes | Tags: foraging, spelt pasta, white pine | Permalink. 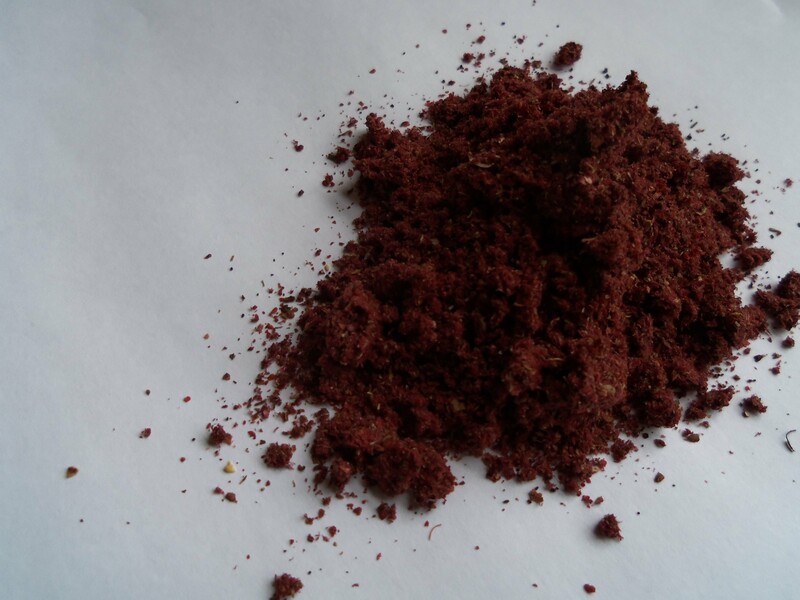 I have posted many recipes calling for sumac. I just love its distinctive lemony flavour and the ease with which it can be processed and stored. Lemons figure on my shopping lists a lot less frequently since I have been using sumac regularly, but am still trying to find more ways to use it. I have made popcorn with sumac before, but this recipe from Zester Daily caught my attention because it is for a spice mixture I had not tried, a mixture which is useful for a lot more than just popcorn. I have also written about making za’atar, but there is always room for more variety in my spice cabinet. This recipe also gives me a chance to show off my own home-grown popcorn. 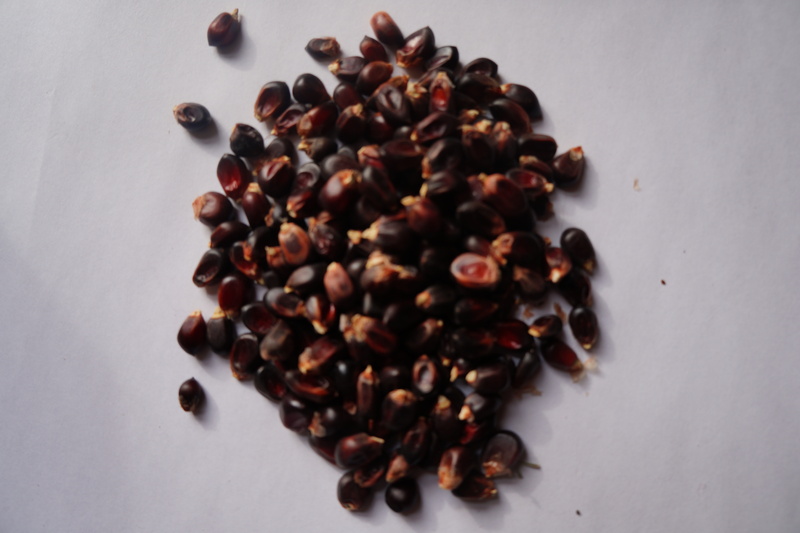 It is called Black Dakota, and while any popping corn is good, this one is so pretty before and after popping that I jump at the chance to talk about it and maybe encourage others to grow this organic, non-GMO, easy-to-grow corn. 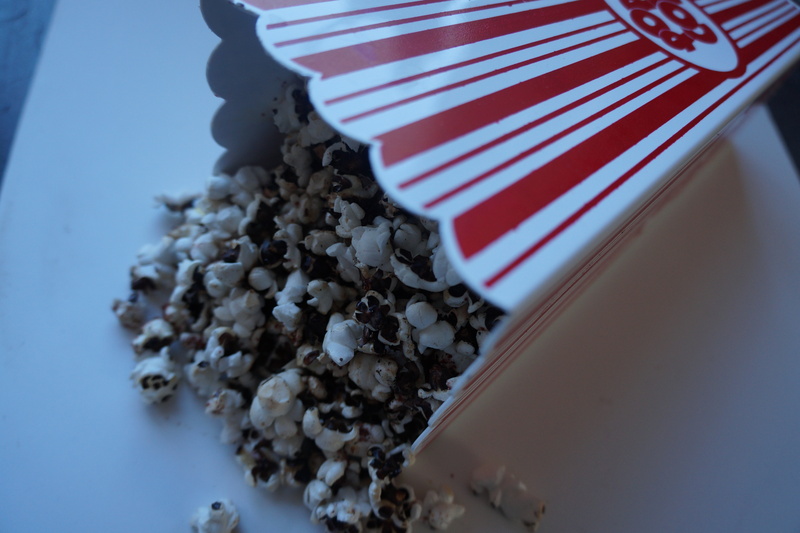 The kernels are a deep purple, and when popped it is very white with a striking black centre. 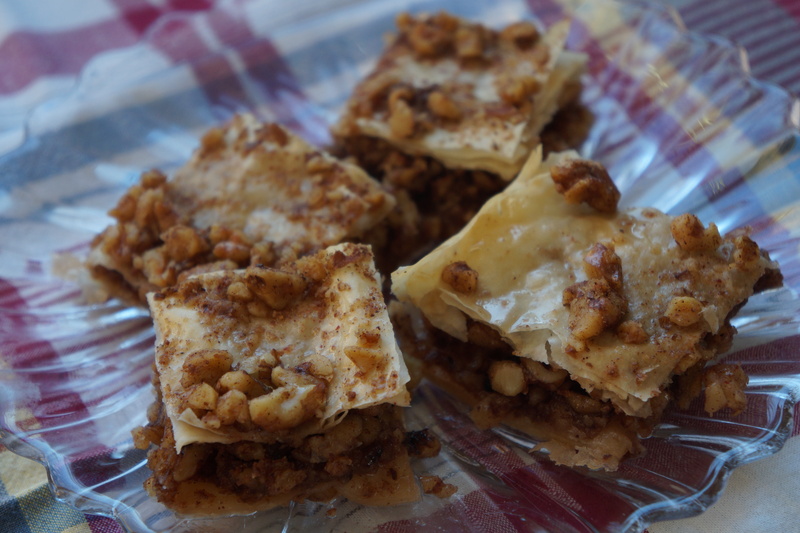 I have copied the recipe as written on Zester Daily. Mix all the ingredients together and store in a cool place. It doesn’t matter what kind of popping corn you use. It is by far the best flavoured popped corn I have ever had. Just drizzle a little melted butter or olive oil over the corn and sprinkle on the sumac pepper. Likewise it is excellent in a marinade, added to vegetable or meat dishes, on sandwiches, pastas, salads etc. Have fun with it! Categories: edible weeds, snacks | Tags: black dakota popcorn, black pepper, popcorn, spice mix, sumac powder | Permalink.